Hello from Planning Pixies! Follow the zany experience that is OUR LIFE! We are Crafty Planners, Perpetual To-Do List Makers, Creative Cooks, Household Management Miracle-Makers, Bargain Shoppers Extraordinaire and two girls who love our life! If we can ignite inspiration, share some wisdom, spread joy & love, bring a little organization to your chaos AND incite LAUGHTER, we’ll be happy campers! Share your experiences with us, and your questions, too! Happy Planning!! Erin Condren Life Planners SHIPPING! Hello from your Planning Pixies! We are SO EXCITED! Those of you who got to pre-order your 2017-2018 Erin Condren Life Planners should see that your order status has changed to shipping (or it will be shortly)! We are looking so forward to feeling the new paper in the ECLPs thanks to EC's partnership with Mohawk! And we're super stoked to see the new stickers that come bound in the ECLP! So many of the new accessories are on the way as well, and I can't wait for my Planny Pack! It's so nice to find a product you like and watch them evolve as they listen to their customer base to make their products better! Big HATS OFF to the ECLP Creative Team, and to Erin Condren herself, for embracing this HUGE community with nothing but love! 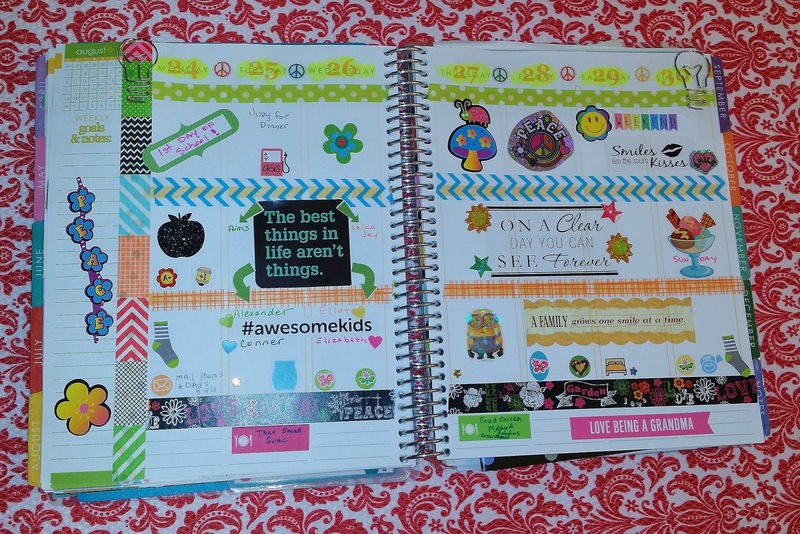 The Erin Condren Life Planner can be used as simply or as intricately as you choose. You are in control of that. We'll be back with regularly scheduled blog postings upon receiving our new ECLPs, and we hope you'll join us along the journey! As an aside, one of our Planning Pixies is still struggling with a long-term illness. We're managing, and we know God's got her! This has kept us on the sidelines a little bit. Regina's ECLP, once used for meetings, work notes and social activities has become a medical symptom-good day/bad day-meds tracking tool (bummer), But that's okay. We are making it through this chapter and looking happily ahead to the next! It's been way too long since we posted and communicated with you guys! We have missed you! But expect us back, loud and proud, as our new planners arrive! If you're new to Erin Condren, feel free to sign up under our link to receive $10 off your first order: CLICK HERE TO RECEIVE $10 OFF YOUR 1st ORDER! We look forward to hearing you and meeting all the new planners in the community! Oh, happy day! Please help one Planning Pixie! Hello, Planner Friends! We've been out of touch for quite a while due to Regina's illness. Would you please consider donating whatever you can to her GoFundMe page? Please see the link below. We're still AVID Erin Condren fans, still using all of our ECLPs. In fact, Regina is using two of her Erin Condren Life Planners to record medical stuff related to her autoimmune disease, Undifferentiated Connective Tissue Disease. Daily temperature logs, energy levels, if any activity (currently, it's extremely minimal), doses of RX's, etc. They have been a great help during this strenuous, debilitating time. We had hoped to get back to our blogging calendar at the beginning of the year, and that just hasn't been doable. 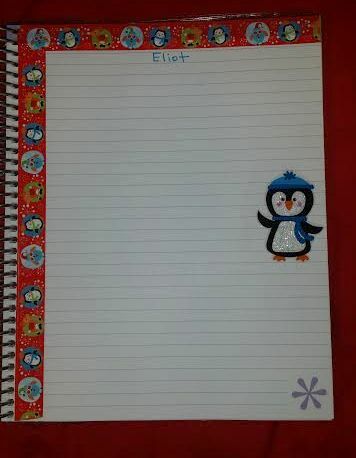 But we're still here, still using our planners and still MAJOR ECLP supporters!!! Go visit Erin Condren's website for all the great sales she has going on now. Register through our link, https://www.erincondren.com/referral/invite/amythurmond0527 , and you'll receive $10 off your first order!!! With covers buy 1 get 1 free, and 25% off site wide, it's a great time to take advantage of this link, too! 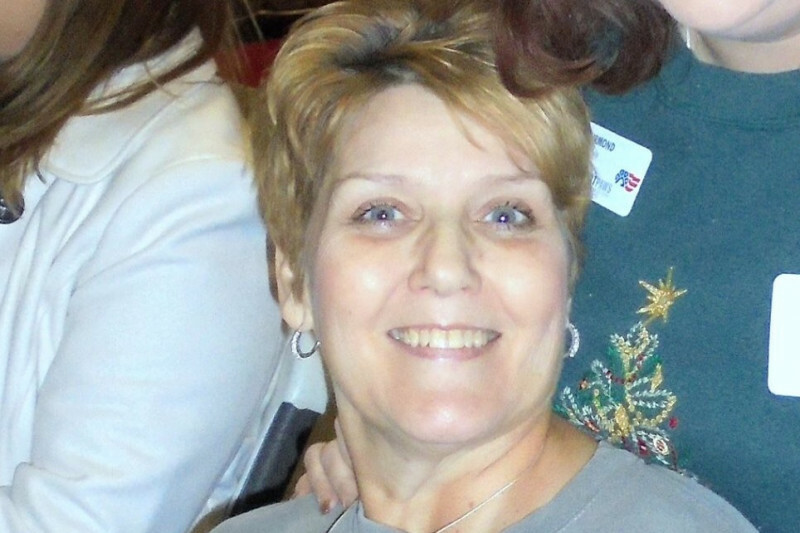 Please lift Regina up in your prayers and share the GoFundMe link if you're so inclined! We look forward to getting back to you with fun planner pictures, planner posts and just general fun life stuff. In spite of all the challenges we're facing, regardless of Regina's illness and the continuous battle over long term disability, we are happy. We are BLESSED. We are full of JOY and love for life! We hope you are, too! Happy New Year, EC Monthly 1st Layouts, oh - and Texas! Happy 2016, Planners! WELCOME! We're so excited to welcome you into 2016! These Planning Pixies enjoyed a quiet NYE at home with some sparkling grape juice, a good classic holiday movie and silly memories of trying to master the art of the selfie stick Santa brought us. How did you ring in the new year? We hope our first post of 2016 finds you happy, healthy, safe and excited about the year ahead. We hope your holiday season has been merry and bright, full of family, friends, good food, rest, reflection and memories of a lifetime! We pray all of you who have endured dangerous weather are safe and sound. The Texas Tornadoes were, literally, 2 miles from our home. Prayers continue for safety and shelter, love and comfort to any of you dealing with destructive weather, loss, stress, grief...all of those things that tend to just appear in our lives. It's time to get your 2016 PLAN ON, planners!! 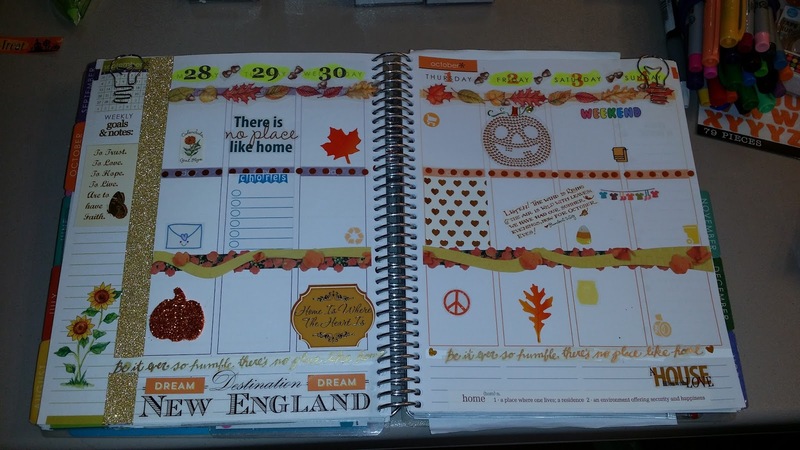 We are LOVING the Erin Condren Life Planner Hourly Layout! Our first hourly layouts are still somewhat vertical in their structure, really. With the holidays, there weren't many appointments / meetings / tasks as we usually have from week to week. That will get back to normal next week. So the layouts going forward will really capitalize on the awesomeness that IS the HOURLY! For now, here's a peek at last week's layouts. 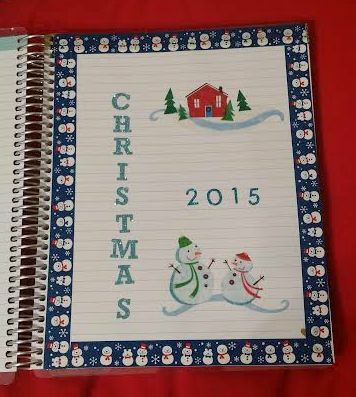 Do you have your 2016 planners ready to go or already in use??! It's here, it's NOW! It's NOT too late to get started! So many goals being set, plans and dreams starting today. Speak those HUGE dreams into life. Claim them! Set your eyes forward. And work every single day to achieve what is so important to you! Dream so BIG your dreams SCARE you!! Plan IN SUCH DETAIL your plan overwhelms you!! And then break it all down into baby steps...tiny bits and pieces that can get accomplished each day. Stop procrastinating, start producing results! Y O U C A N D O T H I S ! ! ! When you slip up, when you feel like giving up - - - and we all know those days are ahead, too... When that happens... step back...review those dreams SO BIG they scare you! Review those plans - those detailed, intricate plans that overwhelm you! And DO SOMETHING - anything... You may be off one day. too busy, off task, not feeling well, kids need more of your time today...life happens... But do SOMETHING that is on your list TODAY! Don't put it off until tomorrow. Maybe you won't be able to complete it... But start it...DO SOMETHING! Tomorrow is a new day, and hopefully you'll be able to pick up quickly yesterday's incomplete task, get it done along with today's task. Since I started writing this post, we received some quite unexpected news. My full-time contract was not renewed. No notice, no warning...So I am holding firmly to my faith that God's got this and a much better opportunity is headed my way! (prayers are certainly appreciated). My faith is strong. Fear and worry are, of course, ever-present in my mind. But I just knock those out of my head as much as I can with silent prayer. God's got this! Are you facing a similar situation? Let us know, and we'll be glad to keep you in our prayers (really any prayer request, we're glad to include yours). Remember there is great power in prayer! Our other Planning Pixie is still recovering from double pneumonia. While the pneumonia is gone, her immune system is extremely low, and she's had bronchitis as a result of that low immune system. So we're still getting Planning Pixie 2 back to health! In spite of life's bumps along the way, we remain faithful and comforted, knowing that God's got this! Still need to get your 2016 planners? Have someone on your gift list who would enjoy an ECLP? We it's a great time to place your first order! Use our referral code to save $10.00 off your first order: SAVE $10.00 ! 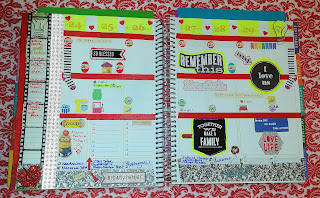 Facebook: Planning Pixies: Erin Condren Awesomeness! The holidays, illness and "adulting" have kept these Planning Pixies busy with grown up stuff, building up immune systems and family time (such a blessing). We have an entire social media calendar in the works. You won't mind seeing Black Friday hauls in a mid-January blog post or scope, will you?!!? LOL! Happy Thanksgiving, Periscope & Erin Condren! Happy Thanksgiving, Planners! May you be surrounded with family & friends, laughter & love, great food and memories of a lifetime this Thanksgiving, 2015! Thank you for reading our silly, random blog! We love our Planner community and are beyond blessed by your readership! We can't wait for the big planner party of 2016 to get to meet as many of you as possible! Until then, we'll be more active here, on all our social media sites (including Periscope!)! Get ready for some exciting stuff from Erin Condren, too! Still need to get your 2016 planner or some special Christmas gifts? Use our referral code to save $10.00 off your first order: SAVE $10.00 ! 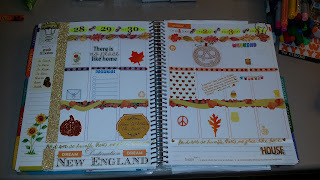 Erin Condren Excitement Continues: HOURLY LAYOUT LIFE PLANNERS! 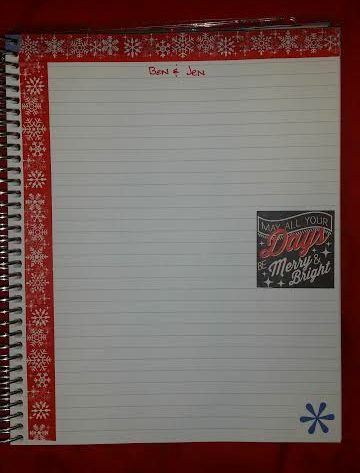 Happy Holidays, Planners! Erin Condren has some exciting news out!! They're now offering a Life Planner with HOURLY LAYOUTS!!!! That's right, all you HOURLY planners! A new layout is here, and it's on the hour, 6:00am - 7:00pm! The weekly layouts offer hourly time slots from 6:00am - 7:00pm each day and a built in checklist to mark off as tasks are completed throughout the week. Make sure you visit the site to check it out! I am sure there is more excitement to come as Erin Condren & her team seem to really by listening to their customers! What are your thoughts on this ECLP HOURLY LAYOUT?! Will you try it? 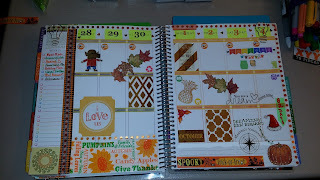 Planning Pixies: Erin Condren Awesomeness! Visit the Erin Condren site via our link below to save $10.00 off your first order! Erin Condren Deluxe Notebooks for Holiday Planning! It's the most wonderful time of the year and time to get your holiday plans laid out, your to-do lists started and your Christmas shopping DONE (I know some of you started planning for the holidays in January like we did!)! These are now full of words that only a few people know (i.e., Santa...) ... We will share more in the days to come as the season continues! What special things are you recording in yours? 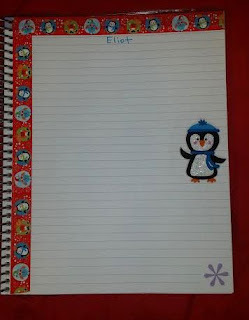 Our Erin Condren Deluxe Notebooks are just as significant to us as our ECLP's. They are kind of like a cross reference guide for different memories and occasions throughout the year that are documented in our ECLP's. They make perfect gifts for ANYone on your list! 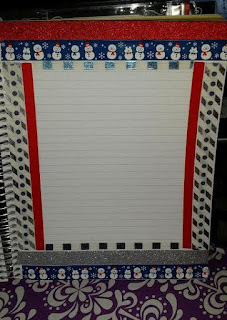 * To look back through one that was used for holiday or event planning is such a real joy! 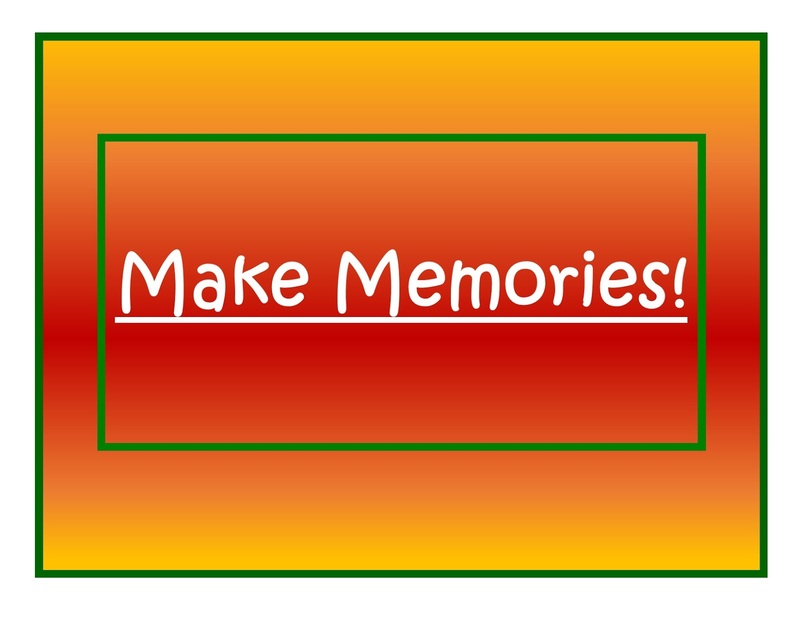 Memories are made every day, and planning ahead for those extra special memory-making moments is easy to do when you have the tools to do it! This post has come about slowly (and is incredibly bland IMHO, lol) because there are extraordinary things going on in the Planning Pixie world that we can't discuss yet that it's challenging to sit down and focus! Additionally, one of the Planning Pixies has double pneumonia, so prayers are appreciated, planners! We hope your holiday season is off to a delightfully well planned start. We encourage you to use the EC tools at your fingertips! If you haven't ordered yours yet, why not?! Follow our link to save $10 off your first order: Click here! And have you SEEN ALL THE AWESOME NEWNESS that EC has out?!?!?! Oh, the JOY! 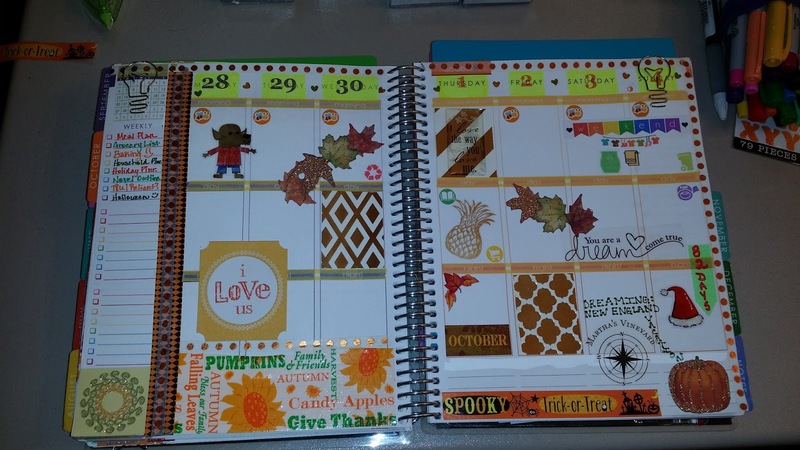 Erin Condren Life Planners: Welcome, Fall, Y'all! It IS already that time of year...seasons are changing, Fall has arrived (at a balmy 96° here in Texas). We're not complaining one bit because it usually takes Texas a good while to cool into fall. So we're happy for the calendar change and patiently awaiting that cooler autumn weather we look forward to this time every year! To kick off our 2015 Holiday season, how about we take a look at our Welcome Autumn spreads in our ECLPs? We have two weeks each to share, the first week of autumn and this coming week. The first week of autumn images were taken very early in our planning time. Barely any functional stickers in place. Not much written in yet... almost skin and bones. This week's layouts are filled in more but without too much writing because we have a lot of great, exciting stuff happening this week that we can't discuss yet! But the layouts photographed just fine without much info written in for our upcoming week. We had a blast pulling our scrapbooking materials into the spreads for this week! For the longest time, we tried to really keep the planning supplies separate from the scrapbooking supplies... ...Today...PLANSCRAPAGEDON happened in our creative space, and we BLENDED (great movie, by the way) those supplies to broaden our layout horizons! Oh, geez, how we miss all the scrapbook stores that used to be in business around here! How are your weekly layouts coming? Are you doing them every week? How many weekly layouts do you prep each week? We each have 4, then I have one more. That's a lot of planning, but, believe me... It's worth it. 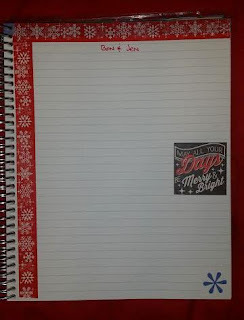 With all those Erin Condren Life Planners and Erin Condren Deluxe Notebooks, there have to be some dedicated to the holidays... YOU ARE CORRECT! There most definitely ARE! This is when things get exciting for us...the holiday season..I made our first holiday season recipe to see if it will make into the 2015 Holiday Baking Gift List.. Pumpkin Cheesecake Snickerdoodles! They're a tasty, cake-like cookie. There are, however, a few tweaks that need to be made prior to them being a definite for that list. Tomorrow we have some dear friends doing a tasting to determine what needs tweaking. We shall see... In the meantime, here's a couple of pics of the prep and end result. Finally, making her debut appearance in our blog, one of kitties, Princess Tuesday Morning. 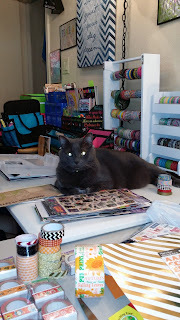 She is a charming, loving ball of fur who, for some unacceptable reason, deemed it her domain to relax in the midst of our planning space... Who knows what got into her this afternoon, but she wanted to say hello!! No matter how big or small, having some creative space in your home is a blessing (and a necessity)! Some of you may have a garage or shed converted into your creative space. Some of you may be working out of a renovated closet or pantry, on an old desk or the dining room table... And some of you may carry your creative space around with you in a storage box for use when needed. Wherever / whatever your creative space is, be thankful! Make it a refuge for your creativity in every way you can. Allow yourselves to be bathed in the beauty that cascades out of your soul when you unleash your creative mind! 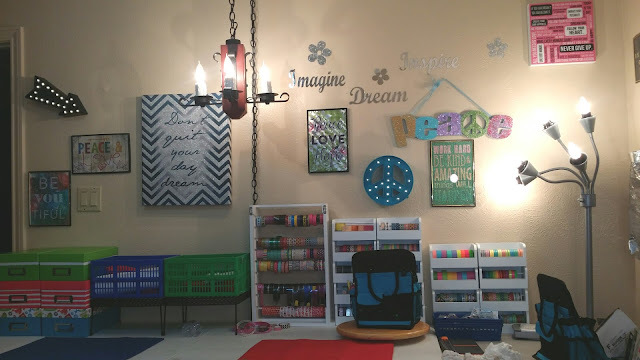 This is where we do a lot of our planner spreads in our Erin Condren Life Planners (see a portion of our washi collection lining part of the wall). Welcome to our Planner Plaza! We use this area several times a week not only to decorate our planners, but also to update to-do lists, schedule new events, schedule an additional meeting...all those things that come up throughout the week. Planner stickers are organized in rolling carts, notepads and page flags in bright boxes, pens and pencils in handy-dandy totes and additional supplies / accessories in our Craft Closet. We LOVE our Planner Plaza (a.k.a. Creative Space A1). Our Writers' Retreat, Creative Space A2, is a comfy and cushy over-sized love seat that just so happened to fit perfectly into the built-in bay window. It overlooks our landscaped front yard, provides an abundance of natural light during the day and has added lighting for those night-time-cuddle-ups. Our Writers' Retreat is the space we do most of our letter writing, creative writing and journaling (yes, I realize I am "making up a word"...come on dictionary...catch up...this is a functional, action verb!)! Our Writers' Retreat is comfy, oh so cozy and inspirational! I think it's one of my very favorite places in our home. Moving on, within the same room as our planer space, you'll find our Scrap Shack, Creative Space A3. We add additional tables and bring out carts full of paper, embellishments, more stickers and other supplies when it's time to scrapbook. We may invite a few friends over and have a crop. We call it our Scrap Shack because it's something we throw together to make it work for us for our monthly crops... And we leave it up until our pages are done (usually a 2-week process)! Two other designated creative spaces areas in our home are the La Rue Bleu (The Blue Street) and the Cozy Up Corner (Creative Spaces A4 and A5). La Rue Bleu and the Cozy Up Corner are both over-sized comfy chairs with ottomans adorned with cuddly blankets, warm lighting and plenty of space to kick back and read, write, plan and dream! Tons of lists and action plans are drafted there every day. Good literature, great plays, our favorite magazines and so many notebooks and journals are within arm's reach at both La Rue Bleu and Cozy Up Corner. 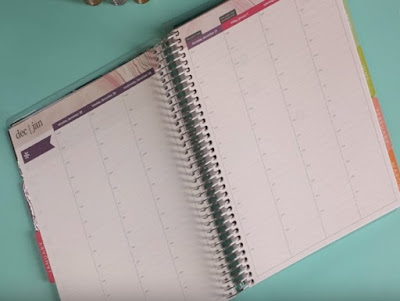 Well, planners, it's time for us to head to our Planner Plaza with our Erin Condren Life Planners and get our sights focused on goals for the week ahead! Share your creative spaces with us and add to our inspiration! 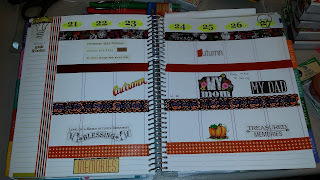 Erin Condren Decisions, Call for Volunteers & Planner Parties! Hello Planners! School is in session, and the air is full of new school supplies, practices, pep rallies, rehearsals, games, club meetings... What a fabulous time of year for making plans, starting new routines, making new friends and creating moments that will become cherished memories!!! Speaking of making plans and creating moments that will become cherished memories... Planning Pixies is excited to be working on these big Planner Conferences you're hearing so much about (yet really not hearing much about yet, right? ), and we're looking for MORE VOLUNTEERS!!! Plans are moving forward, and we NEED more volunteers! There is a LOT of work to do, and we'd love to have you join our awesome hard-working team of volunteer(regardless of where you live)!!! These folks have already logged, easily, over 500+ hours of volunteer time!!! Write us a note or send us a message! We will get in touch with each of you to see how you can get involved! (regardless of where you live). LIKE both pages and stay up to date! There are Planner Meet Ups and Planner Parties happening all around the US, and it's an exciting thing to see! Your very own Planning Pixies are hosting a Planner Meet Up in September!! There have been a bunch of meet-ups around the US over the past several weeks! We love seeing the pics, so feel free to share them on our group page! There are a ton of meet-ups scheduled already for September! Are you going to one? If your answer isn't YES to that question, why not!?!? 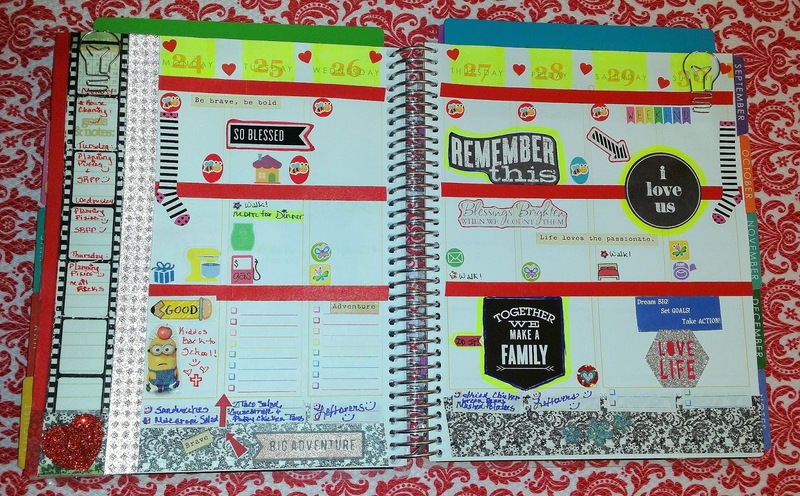 :) Find a local meet-up, venture out and enjoy your planner hobby with other planner friends! Remember....it's the perfect time for making plans, starting new routines, making new friends and creating moments that will become cherished memories!!! We'd love for you to share your weekly spreads! P.P.S. (We owe you a post on school supply bargain shopping - and WOOOO - the planner /scrap HAUL we've collected in the past month has been incredible. Bargain shopping is the ONLY way to shop for planner /scrap supplies. We're doing that for you...we'll talk more about that later)! Thank you for reading our fun and silly blog, and feel free to share your thoughts with us! 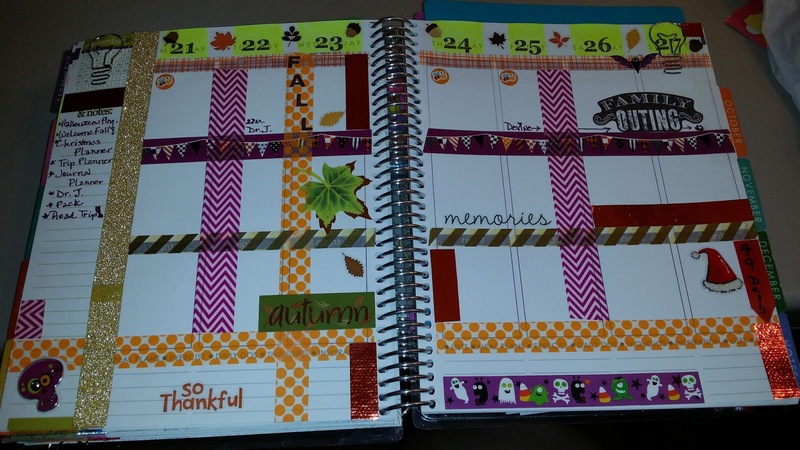 Convention Chatter & Color Us Happy Planner Parties! 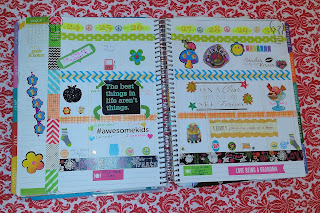 One of the things we LOVE LOVE LOVE about Erin Condren is the abundant use of vibrant color in ALL of her products! Erin Condren has launched a fabulous new item, a Coloring Sketch Pad!!! How FUN is that?! Who doesn't love to color, doodle or sketch?! It's something we have all done, have all shared, at some point in our lives. 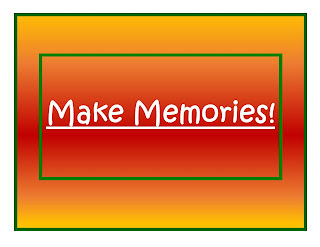 Do you have a favorite memory coloring as a child or as an adult with your children or the kiddos in your life? 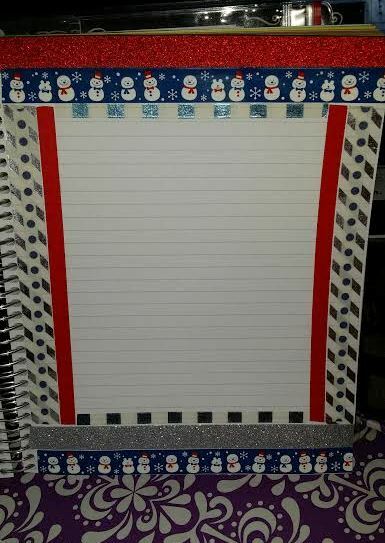 How about making a new tradition in your planner parties? Kick off your parties with a coloring page!!!!! Speaking of PLANNER PARTIES...There are a bunch of Planning Pixies working tirelessly on that HUGE Planner Party scheduled for July, 2016! It's an exciting time in the planner community, and we are blessed to be a part of it! The promise of an even larger event looms on the horizon as well! We are committed & excited to be working towards realizing both of those amazing events! We have met some really lovely people in this community of ours who share a common passion... planning...and...PLANNERS!!! How neat to have them all in one big room! What an opportunity to make new friends from across the country, across the globe! LIKE us, FOLLOW us, and we'll keep you up to date on the latest & greatest!! (where we celebrate our love for all thinks Erin Condren! Dream it, plan it, DO IT! What is it that the "Charlie & The Chocolate Factory" song, "Pure Imagination" says...? PlannerCon 2016: Southern Regional Conference DATES: July 22-23, 2016! Southern Regional Planner Convention Dates Have Been Set! The Southern Regional Planner Convention has been set for July 22-23, 2016!! Put it in your planners, folks! Location is still yet to be determined, but when I have that information available, I will definitely get it to you! We are working on some exciting possibilities, and we want YOU and your besties to start thinking ROAD TRIP!!! Just a quick weekend get-away for you, for you and all your friends - whoever, however, doesn't matter - just get there!!! IT IS GOING TO ROCK YOUR SOCKS OFF! We invite you to stay informed by looking up our two Facebook Groups and "LIKE"ing both of them! We'll keep you up to date with the latest exciting information! 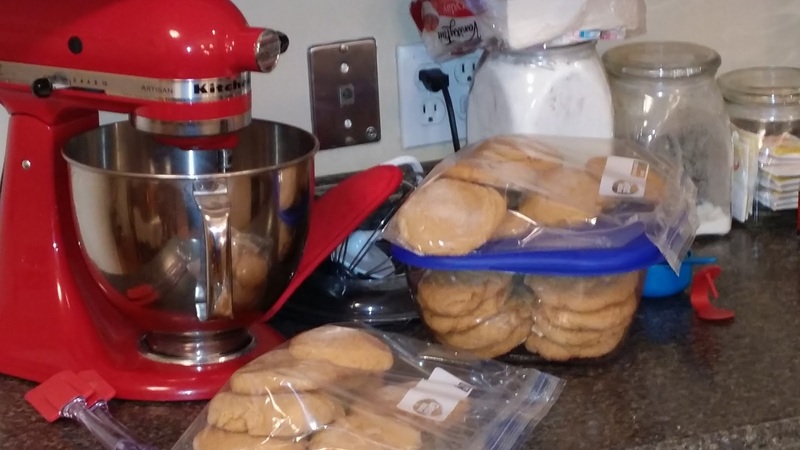 We also post blogs about everything...bargains and treasures found, organizational bliss, randomness that hopefully makes you giggle as much as it does us...and anything else that warrants a timely post! 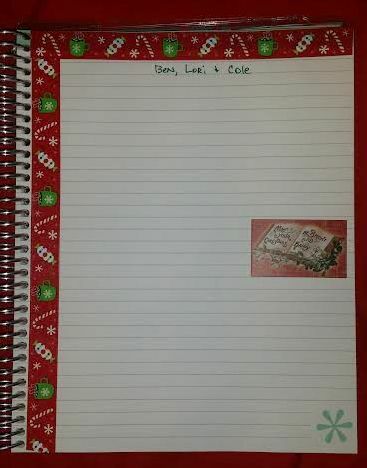 And please sign up with Erincondren.com through our link here for $10 off your next order: OUR LINK TO ERINCONDREN.COM . 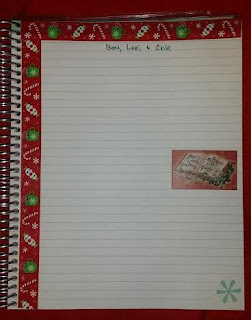 Christmas In July - Putting Your Erin Condren Life Planner To USE! 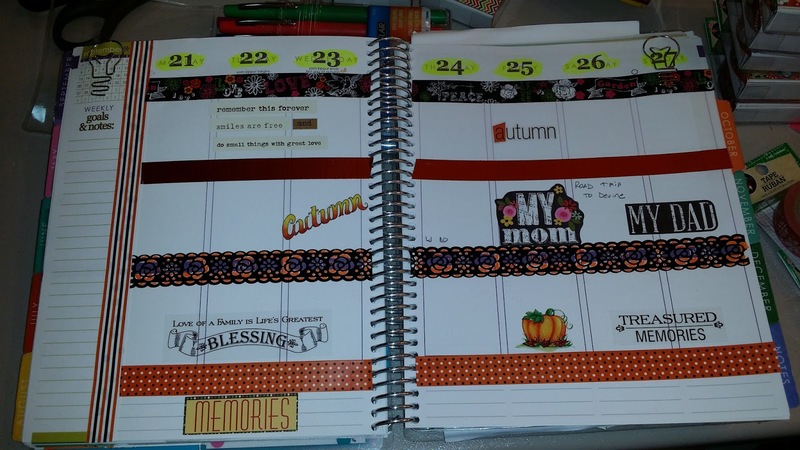 Putting Your Erin Condren Life Planner To Use! It's that exciting time of year (ALREADY) when we start hearing about "Christmas In July"! The Hallmark TV Channel is already running Christmas movies for their always festive "Christmas in July" celebration (called #ChristmasKeepsake this year). Craft fairs and even retail stores get in on the idea. We know there are some who want to keep the holiday season IN the holiday season... And, to some end, we agree. It's so commercialized, so over-sold, so excessive, that the very simple core, the Reason for the season, can easily get overshadowed by all the hoopla. For so many of us planner types, however, the holiday season is a MAJOR time of year that requires the BEST of our planning and organizational skills to ensure the most memorable holiday season! A LOT goes into planning a holiday season. It certainly is NOT about gifts or decorations or cookies or carols. It IS about the memories we make while doing (and eating and singing) all those beautiful and fun things that become the memories made. And they all lead up to that glorious and splendid night! Sometimes making memories takes a lot of planning ahead so that, in the moment, those treasured, precious, simple moments, the memories ARE made. Getting to that point, however, takes solid planning and organization. For those of you who start planning now, what Christmas in July things do you enjoy? What's your priority list when you start your holiday planning? 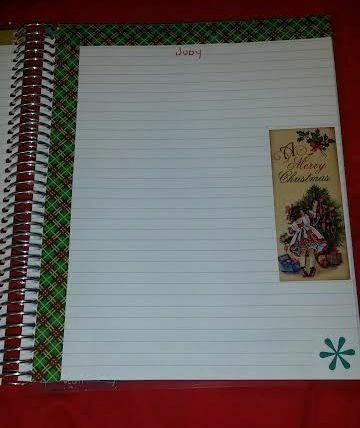 How do you use your Erin Condren Life Planners (or Erin Condren Teacher Planners) to start planning your holiday season? As we are still unpacking a million boxes, and working to restore order, we are so excited to be near finished getting our crafting/planning room unpacked and in order. Our planner design for the past couple of weeks has been minimalist in style due simply to everything being in boxes. But we have started that planning for the holiday season. *Started looking at the calendar, making a list of what events and functions we want to plan and host, participate in (annual engagements) or volunteer for throughout the season. *We have started reviewing our "wrap up" notes from last Christmas to help us remember what worked / what didn't. *We will, from here on, be including countdowns in our planners for our own benefit in some way. *Our next step will be to set a timeline for the major events. *And we'll block off different times that for impromptu gatherings / family time. Planner Con 2017” – Have you heard about it? The convention isn’t tied to any brand of planner (though we ALL know our favorite is Erin Condren!)!! It is for the paper planner community as a whole! How exciting! What are some thoughts / ideas you have and might like to see at a Planner Convention? We’d love to hear your ideas and thoughts. Share them on our Facebook group pages list above! If you haven't already asked to join both groups, please do! We want to include all of you on our awesome journey! 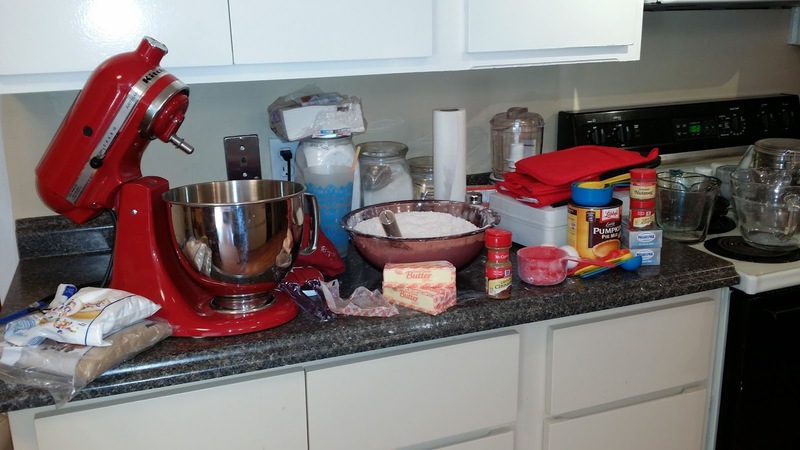 And...coming up...we're going to be sharing how our ECLP's made our move so wonderfully organized and smooth. We'll share some organizational tips and ideas. We have several new blog posts coming soon. AND... AND... we will be having another give-away within the the month of July! We thank you for reading, thank you for following our groups and thank you for your comments!